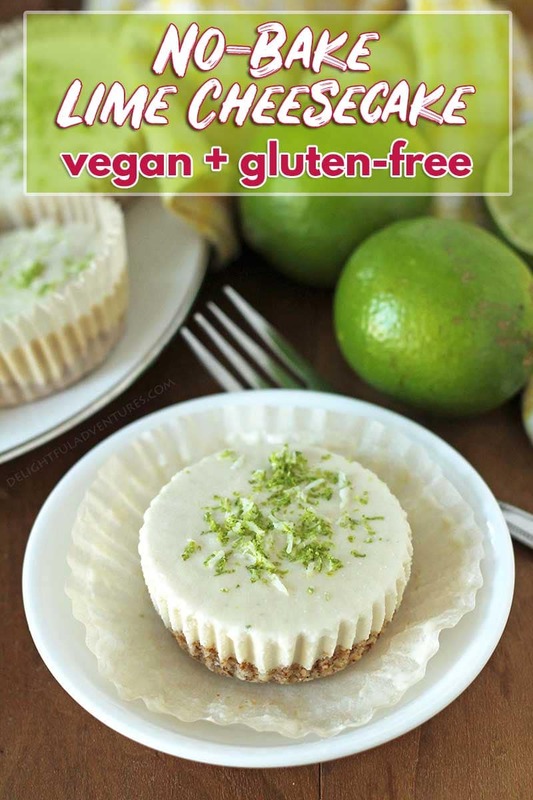 This easy, no-bake, dairy-free vegan lime cheesecake recipe contains no cashews and is also gluten-free! It’s the perfect creamy, tangy, sweet dessert to end any meal. 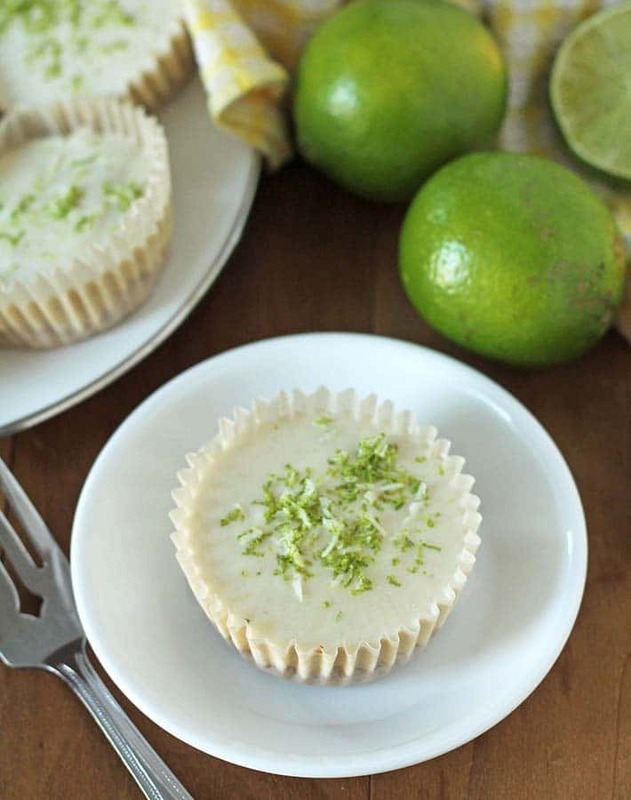 Whether you’re celebrating a special occasion or you just want to make a dessert to impress, just because, these sweet, but tangy, coconut lime cheesecakes will make everyone happy! What will make YOU extra happy is how easy they are to make! How Do You Make Dairy-Free Cheesecake? The first step is to make the oat crust that the filling will sit on. 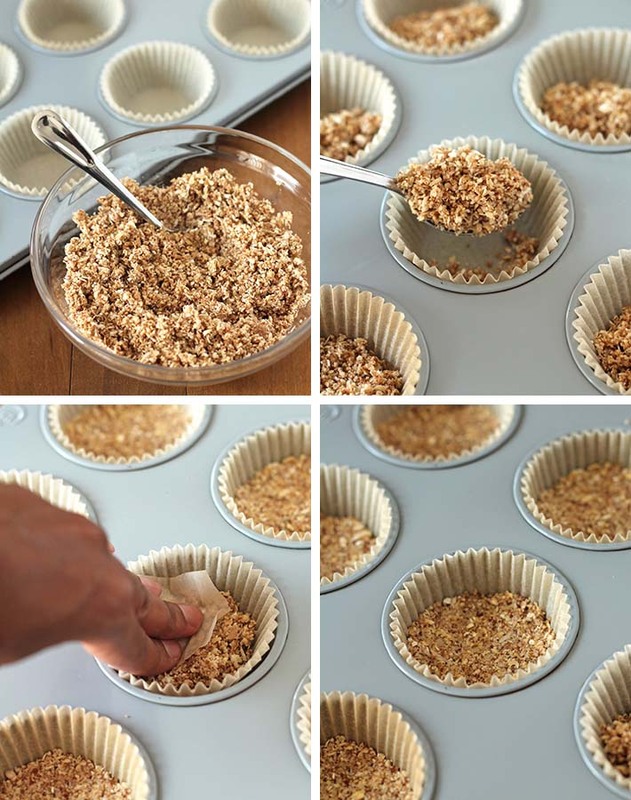 Once the crust is made, you’ll then press it into muffin cups and then chill them while you make the cheesecake filling. Next, you’ll make the coconut lime cheesecake filling by blending all of the ingredients together in your high speed blender. 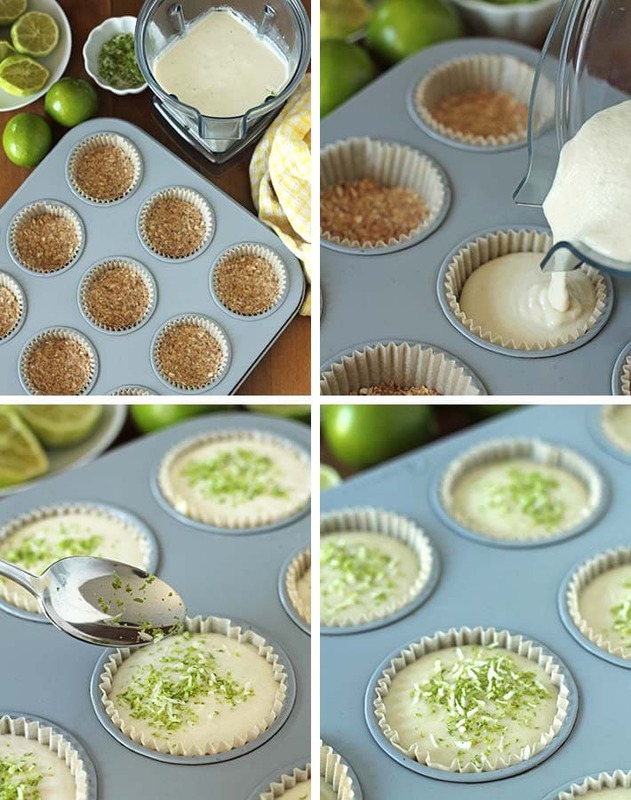 Once blended, pour the filling into each muffin cup, sprinkle with the optional lime zest and shredded coconut garnish, then freeze! 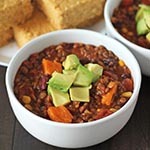 After they have firmed up in the freezer for at least an hour, they’ll be ready for serving! 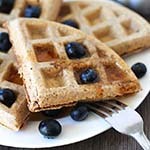 What Kind of Blender Is Needed to Make This Recipe? You can use a food processor or a regular blender to make the crust, but a high speed blender is absolutely essential for making the cheesecake filling part of the recipe. A regular blender is not powerful enough to blend the almonds and get them smooth and creamy, which is the texture you need for a successful cheesecake recipe. A high-speed blender is an investment, they aren’t cheap (I saved for a while before buying mine), but I use it almost daily to make things like smoothies, sauces, soups, and more! What Kind of Limes Should Be Used? I use regular limes for this recipe, but you can also use key limes, if they are available, in place of the regular limes. 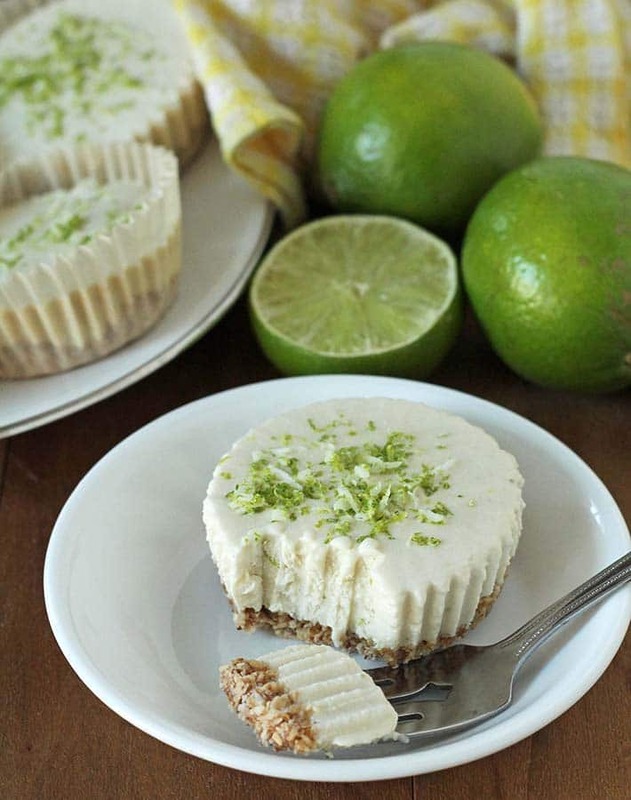 This would make your recipe vegan key lime cheesecake which will be just as delicious! How Should They Be Served? 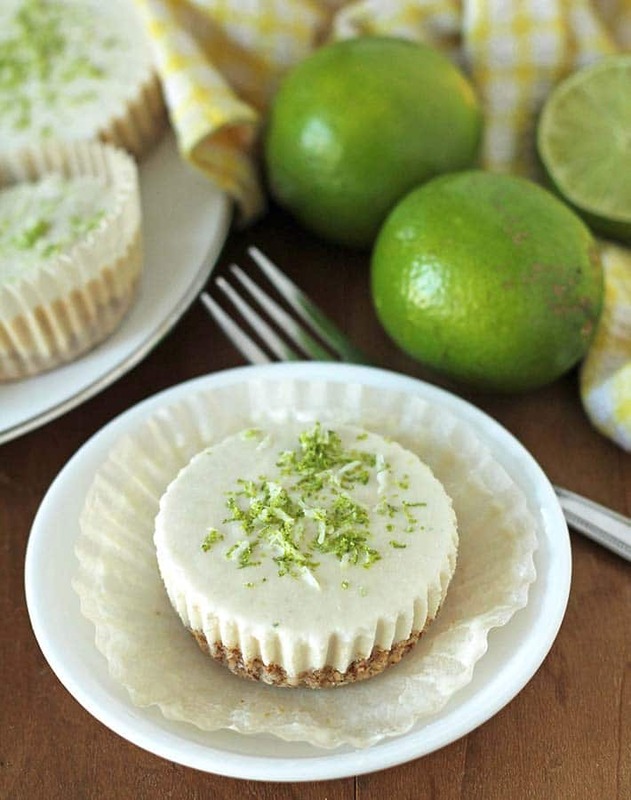 After your lime cheesecake bites have firmed up, they can be enjoyed straight from the freezer, or you can leave them out on the counter to partially thaw for a little while before serving. I like to eat them fully thawed but try them different ways to see how you prefer them. Is there a particular vegan cheesecake flavour you’d like to see me make next? Let me know! Leave me a comment below if you make this recipe or you can also post a pic on Instagram and tag me. I love seeing your photos of my recipes 🙂 And don’t forget to pin this recipe on Pinterest! 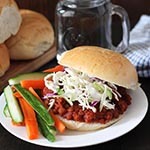 To keep up to date on all of my latest recipes, please sign up for my newsletter so you’ll always be in the loop! 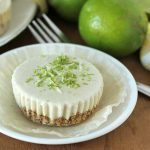 This easy, no-bake, dairy-free vegan lime cheesecake recipe contains no cashews and is also gluten-free! It's the perfect creamy, tangy, sweet dessert to end your meal. Add the almonds, coconut milk, lime juice, maple syrup, coconut oil, and vanilla to a high speed blender. Remove the chilled bases from the freezer and divide the cheesecake mixture evenly between the 12 muffin cups. Smooth out the tops and if using the lime zest/shredded coconut as garnish, sprinkle on top of each cheesecake. Place back into the freezer for at least an hour for them to firm up. Full fat coconut milk will give you a creamier cheesecake. When pressing the base down into the muffin cups, I like to use a piece of parchment paper to do it since nothing will stick to it, see picture above. 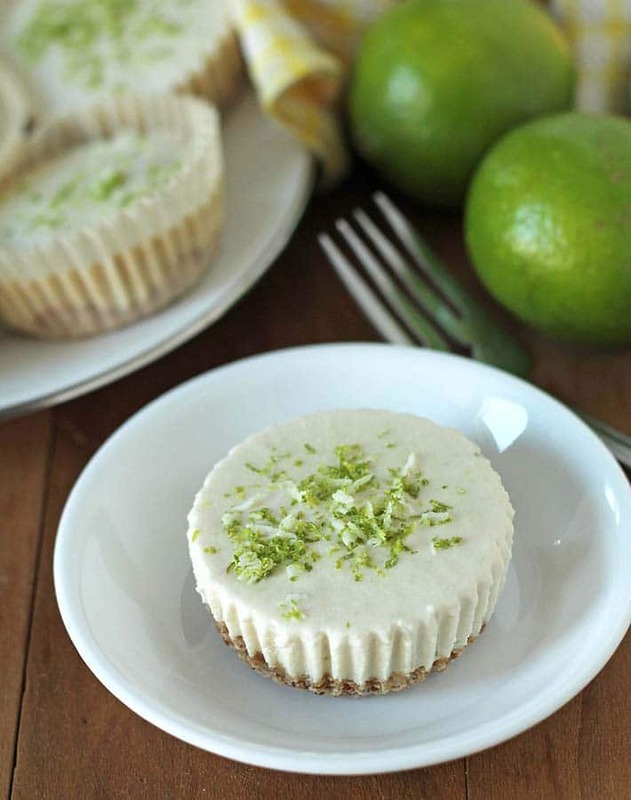 Nutrition info is based on 1 lime cheesecake made using the recipe as written and without the optional garnishes. Nutrition info is is only to be used as a rough guide. Click to learn how nutrition info is calculated on this website. Could I use cashews instead of almonds for the cheesecake? Hi Cristin, I can’t say for sure that it will work with cashews because I haven’t personally tested it (allergy). Technically, it should be fine since the majority of other vegan cheesecakes are made with cashews. If you do try it, please come back and let me know how it works! Just a curious question? Could you replace the coconut 🥥 milk for either xtra firm tofu? I have multiple food allergies and yes, one is 🥥, so would you get the same consistency/results?? Hi Vicky, if you replace the coconut milk for something else, it has to be something that is a thick liquid, just like coconut milk. If I were going to replace with tofu, I would probably try blended, watered down silken tofu, not extra firm tofu, to keep the consistency the same. Keep in mind that I have not made this recipe other than how it was written, so I cannot say how it would turn out without it. The coconut milk serves as part of the flavour for this recipe, so I also don’t know how it will taste without it. I hope this helps!